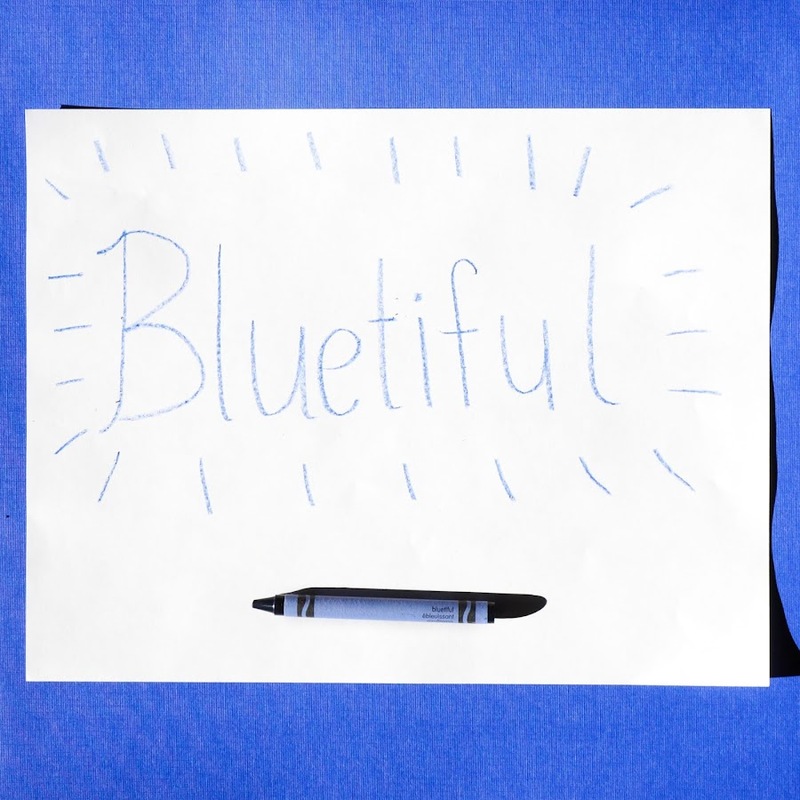 Here is the new Bluetiful from Crayola! Crayola retired Dandelion in early 2017 from its color line up and will be adding bluetiful instead. Here is what Bluetiful looks like. On March 30, 2017 Crayola announced Dandelion would be retiring from it's standard line of colors. The next day on National Crayon Day 3/31/2017 they announced the new color would be "part of the blue family". The color of this blue color was announced on May 5, 2017. The new pigment was discovered at Oregon State University. It was originally called called "YInMn" blue. The color is comprised of Yttrium, Indium, Manganese and Oxygen, discovered by Mas Subramanian, a chemist student at Oregon State University. To help name this color Crayola enlisted the help of their fans. 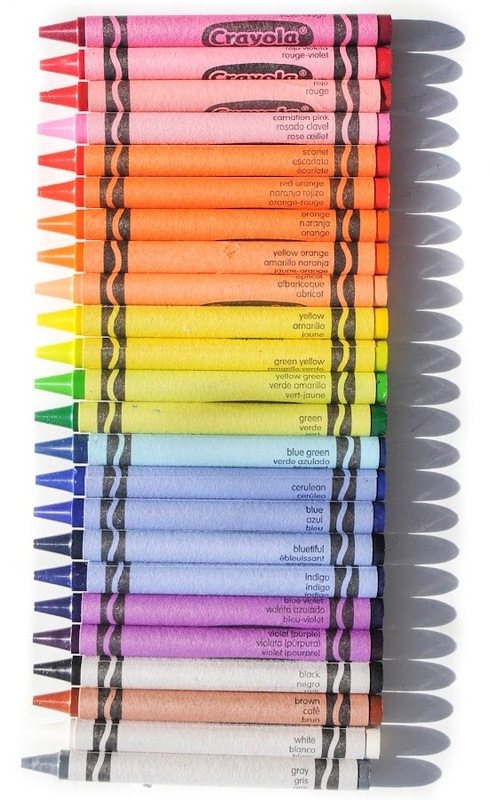 Crayola has enlisted fans to help name the crayon colors starting with the 1992 "Name the New Colors" contest where 16 crayons were retired and 16 named in the 96 Big Box of Crayons. Other times Crayola has asked for fans to name colors include: the 1997 Search for True Blue Heroes where 9 crayons were named, the 2002 "Save the Shade Contest" where 4 crayons were retired and 4 were named, the 2003 "State Your Color" contest were an entire box of 64 crayons were named after states, and the the 2013 "Colorful Nickname Contest" where fans named 8 classic crayons on Facebook. The crayon colors from the "Name the New Colors" and the "Save the Shade" were the only ones that continued being used after the contest was over. Color suggestions were open to US and Canada residents from May 5 to June 2. Over 90,000 unique names were submitted for this new blue color. To help excite fans Crayola came up with "Dandelion retirement boxes" and offered prices for name submissions and voting on the final color. Crayola offered weekly prices from May 5-June 2 ($50 US and $100 Cdn). There was no word on if the person who named the crayon or the finalists got a prize. $1,000 donation to school arts program!" There was also "Daily Winners!." Fan could "vote and enter daily 7/1/17-8/31/17 for a chance to win a Crayola Air Marker Sprayer ($29.99 value)." 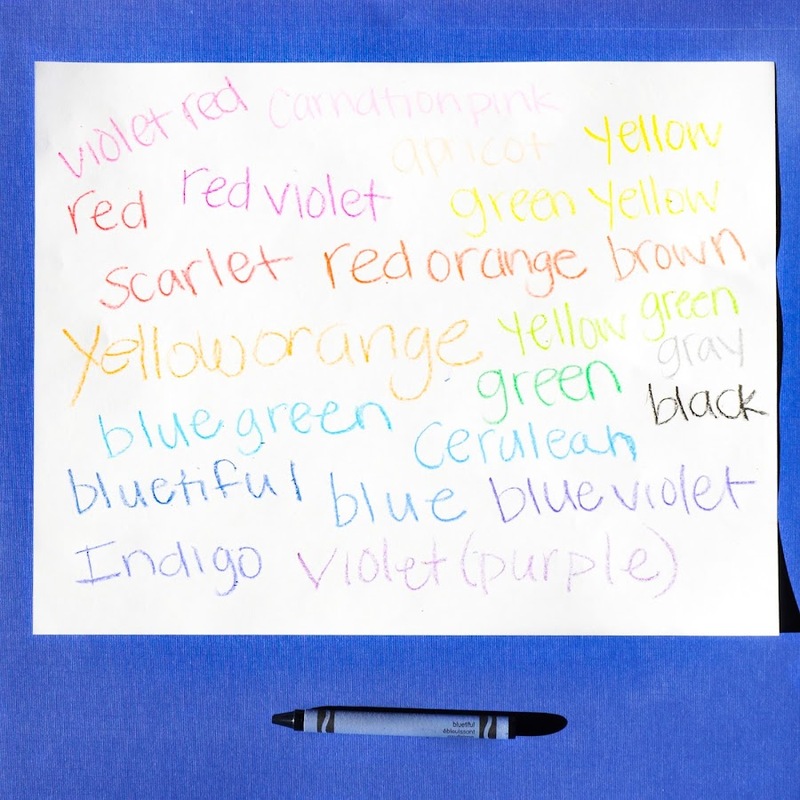 On September 14, 2017 Crayola announced the winner of the name the new color contest was "Bluetiful". A giant bluetiful crayon 16 feet long and 1,352 pounds is currently on display at Crayola Experience, Orlando. 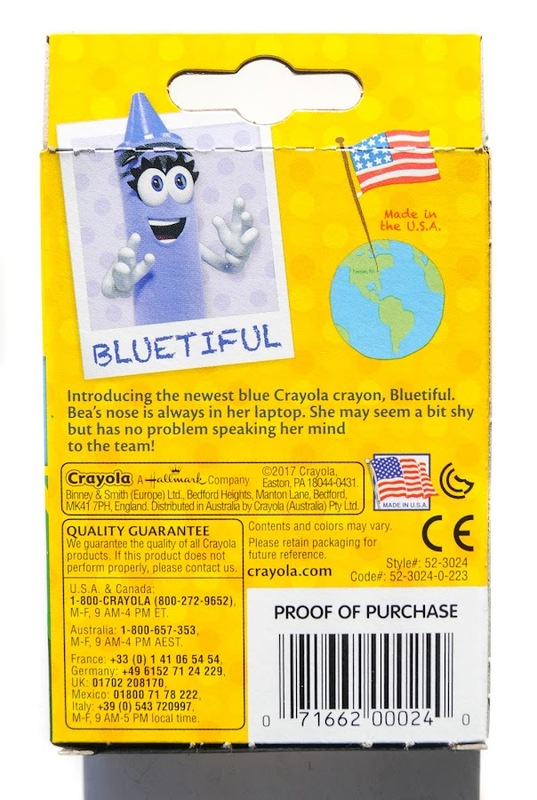 Crayola has added bluetiful to its line of Tip characters. The character is nicknamed "Bea". Her "nose is always in her laptop. She may seem a bit shy but has no problem speaking her mind to the team!" Here is the new 24 count box with all the colors! Currently the boxes containing bluetiful are only available at Walmart. Later this year they should be available at other stores. I have some of the other boxes containing bluetiful and will post those soon. I am so excited Bluetiful. Do you like the color and the name Bluetiful? If you are a collector make sure you grab this box of bluetiful. It will be collectible in some years. It is the first time Crayola has advertised they are retiring colors and the first time fans helped name a crayon color in the 24 count box. 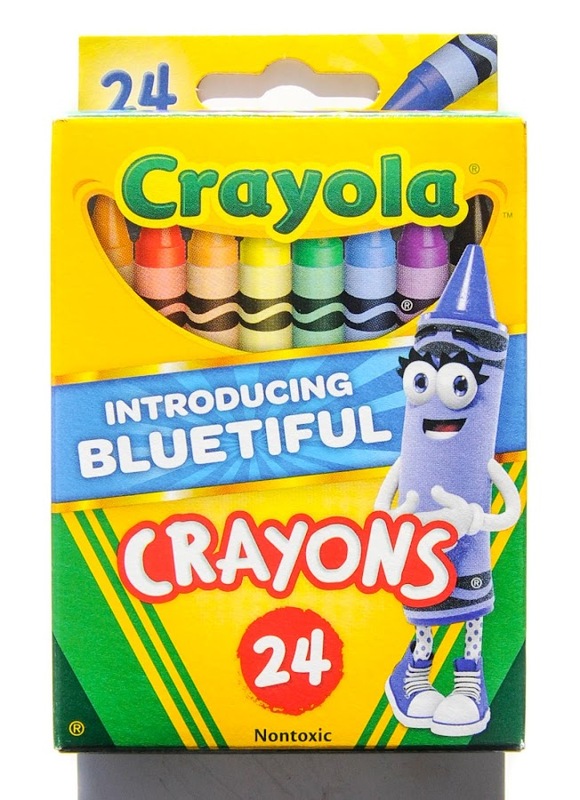 It is also significant because Crayola added Bluetiful to their line up of Tip Character crayons. That's so awesome! Coloring is such a good way to calm down.